Probably the most common phrase uttered by every preschooler, it can induce sweaty palms, racing heart, and rising blood pressure. But it doesn’t need to be this way. That’s just part of life. The most important lesson any person can have is how to clean up a mistake that they have made. Taking time to be accountable and to fix a problem are important skills for any person. 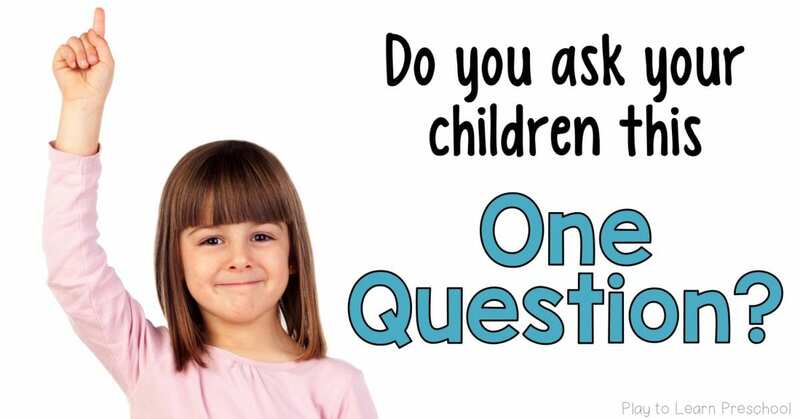 Children at the preschool age are just trying their independence for the first time. Are they going to spill when they try to pour the milk? Certainly. Will they drop the paint on the floor while carrying it to the sink? Of course. It’s how YOU RESPOND that can make or break the situation. Sure, you could sigh, wave your arms around, yell, and clean it up for them. That doesn’t help the child learn anything other than to fear mistakes. They learn that they CANNOT do this task without your help. 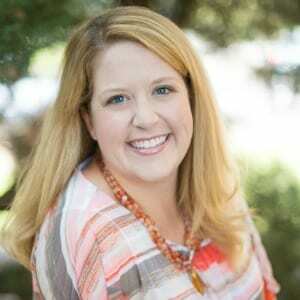 This learned dependence is why scores of children are coming into elementary school not knowing how to perform some basic life skills, like zipping a coat or cleaning up a spill. Giving them the proper tools and knowledge gives them more independence. Now they are free to make that mistake when they pour the milk, because they know that if it does spill, they have the skills and tools to clean it up. Not only that, it holds the student accountable. 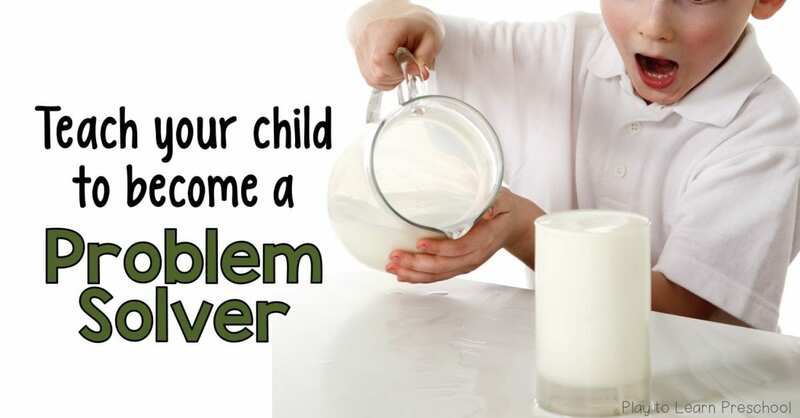 They spilled the milk, so they know they are expected to clean up the mess – not the teacher or parent. 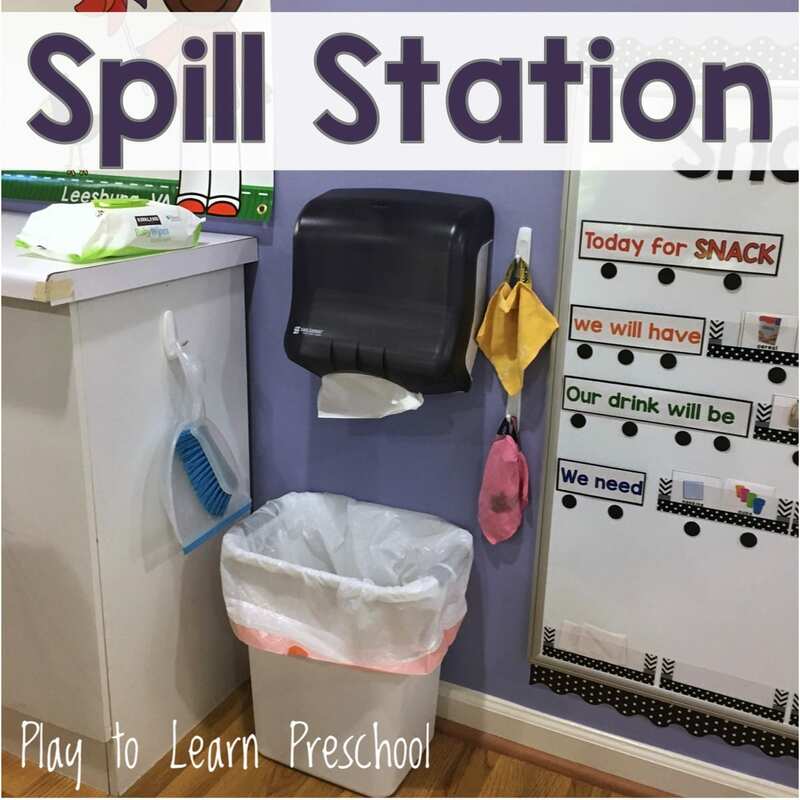 Be sure to keep all the tools at your spill station simple, easy to use, and child-sized. A full-sized broom isn’t a good choice – it’s twice as tall as the student! However, a hand broom and dustpan are perfect. Store supplies at a child’s eye level. It’s hard to find things when you always have to look up! To make the spill station, the following supplies are handy in a convenient location in the room. 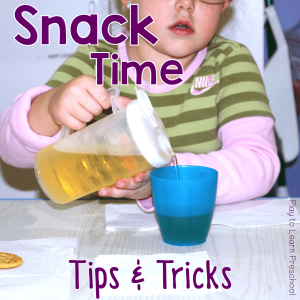 Curious about the snack chart in the picture? It lives next to the spill station. Check out the post and the printables, then make your own! 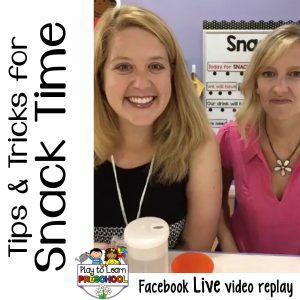 Prefer to hear us talk about snack time? Check us out on Facebook Live! And if you’re wondering, “Gee, what brand products do they use? Where did they get those cups?” here are the links to the items on Amazon!